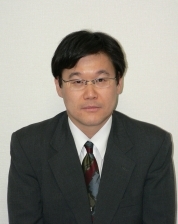 Currently, Dr. Fushimi is the director of the Akita University Health Center, where he is also a professor. On March 31, 2016, Dr. Fushimi resigned from the position of director at the Akita Prefectural Mental Health and Welfare Center as well as from his work as a psychiatrist at the Akita Prefectural Center for Rehabilitation and Psychiatric Medicine. He was appointed the director and a professor at the Akita University Health Center on April 1, 2016. His former biography is as follows. Dr. Masahito Fushimi was born in Hokkaido, Japan. He currently lives in Akita (Japan) and works as a psychiatrist at the Akita Prefectural Mental Health and Welfare Center as well as the Akita Prefectural Center of Rehabilitation and Psychiatric Medicine. He also serves as a counselor at the Akita Occupational Health Promotion Center. After graduating from the Akita University School of Medicine in 1990, Dr. Fushimi did his residency training in Psychiatry and Neurology at Akita University Hospital (Department of Neuropsychiatry) from 1990 to 1991. After his residency, he worked as a clinical psychiatrist in several hospitals. In 1997, he obtained a Ph.D. degree from the Akita University School of Medicine for his doctoral dissertation on neurophysiological research. In March 2003, he was appointed director of the Akita Prefectural Mental Health and Welfare Center, an educational and consultative organization dedicated to the promotion of mental health. Dr. Fushimi’s main areas of interest in this field are mental health promotion, especially occupational stress management, and suicide prevention. His studies aim to provide a new understanding of the impact of stress on psychological and psychiatric aspects. Additionally, his research is directed at acquiring a better understanding of the environmental and psychological contributions to the etiology of stress-related disorders with a focus on mood and anxiety disorders, and attempts to develop better means of prevention and treatment. His research has been published in several scientific journals of the field. Dr. Fushimi has worked together with multidisciplinary clinicians and researchers to help prevent suicide through education. He has also participated in some research projects developed in Japan to investigate suicidal behavior. In addition, he has contributed chapters to several psychiatric books and written papers about suicidal behavior published in English and Japanese.